When you’re trying to decide on a Blue Mountains Jenolan Caves tour to take, it can get a little tricky. For starters, the caves are quite a drive away from Sydney proper (about three hours). So once you factor travel time in, you might get one or two Jenolan Caves tours in before you have to turn around and head back to the big smoke. Then you have to take the cave difficulty and your travel companions into account. Will they be able to handle all the stair climbing involved? What about the more claustrophobic nature of some of the caves? Do you want to rent a car and drive to Jenolan Caves yourselves, or hop on a tour bus and let someone else worry about the driving? 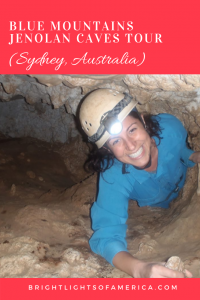 What Type of Tours Does Jenolan Caves Offer? Growing up in western Sydney with family and friends living overseas, we did our fair share of hosting and ferrying people to the tourist destinations in and around Sydney for quite a few years. 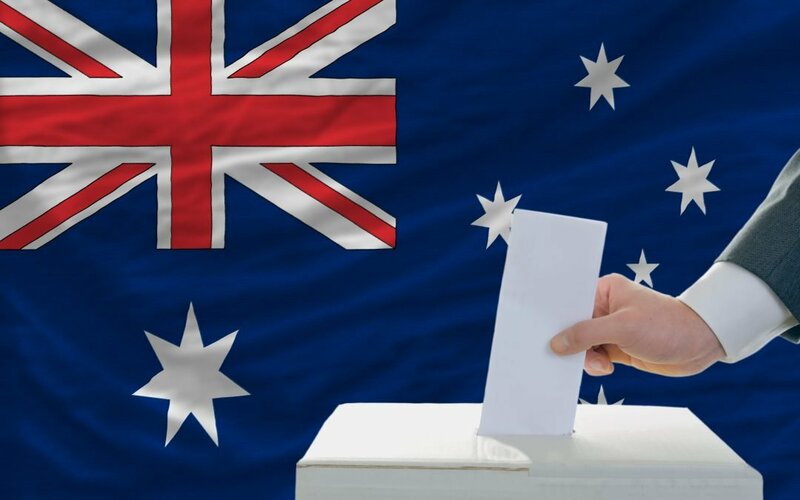 I’ve got memories of Old Sydney Town near Gosford, etched in my brain for the wrong reasons (got yelled at by a teacher in the schoolhouse who looked like a mannequin). And my dad has a bunch of embarrassing stories to tell about my young self and the stupid things I’d do on long car rides. What I’m trying to say is that when it comes to Sydney tourist attractions, I’ve probably been there, and done that, multiple times. 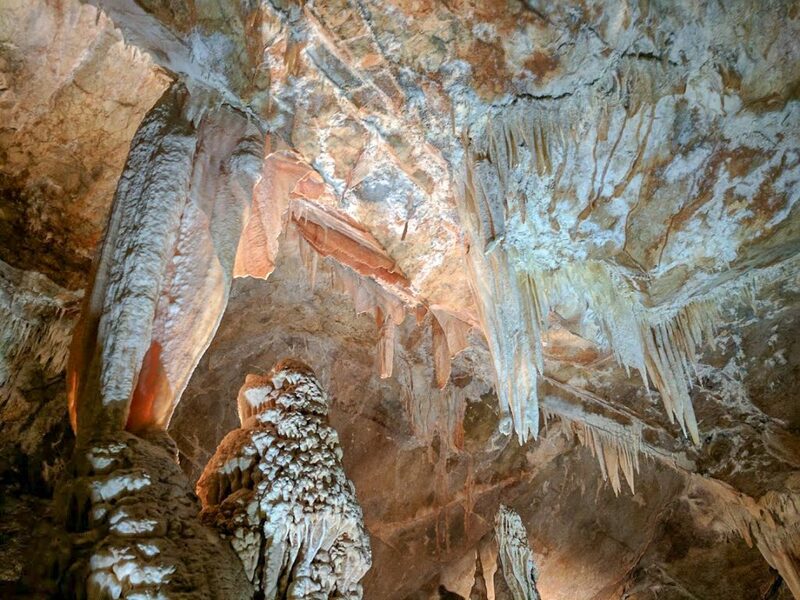 So I can help with planning your Blue Mountains Jenolan Caves tour and giving you some insider information about the place. The limestone caves are the oldest discovered open caves in the world, and feature 40 kilometres (25 miles) of passageways across a multitude of levels. 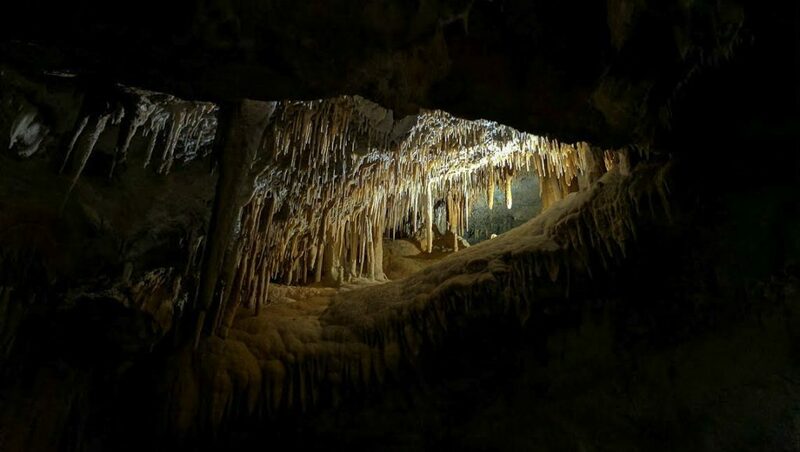 They can be accessed from over 300 entrances, so it stands to reason that Jenolan Caves are still be explored today. You can understand why tourists can’t just be let loose inside Jenolan Caves with a flashlight on their own. It’s way too easy to disappear down a rabbit hole and get lost. 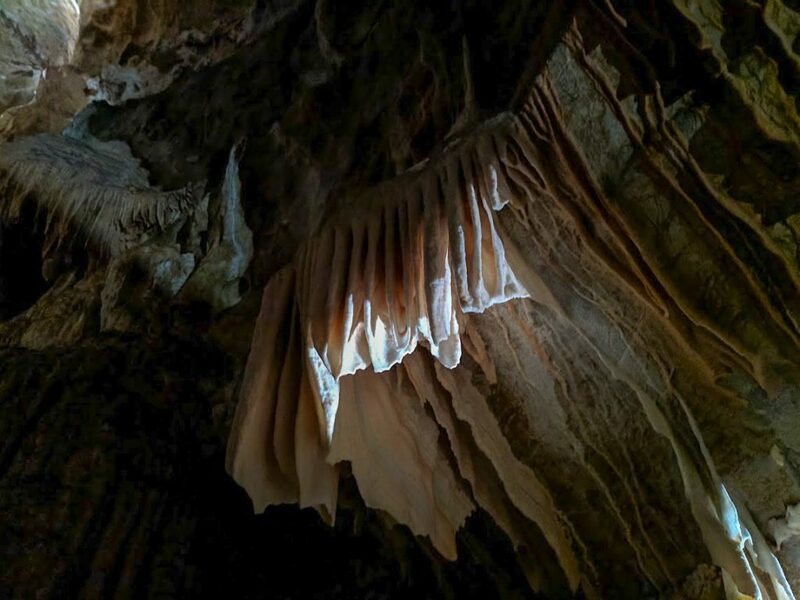 Estimated to be around 340 million years old, the cave complex contain fossils, bones of wombats and Tasmanian Devils, and spectacular crystal deposits, and “shawls”. Even though there is such an expanse of caves and tunnels, just 11 caves are open to the public with a tour guide, who will tell stories about the caves’ discovery by European settlers, and what they meant to the Aboriginal people. If you’re looking for just one Blue Mountains Jenolan Caves tour, you can choose from 13 different “Show Caves” tours. They tend to last a couple of hours and are relatively easy to traverse. Just watch your head for low low-hanging rocks and get ready to climb some stairs. You’ll be fine! 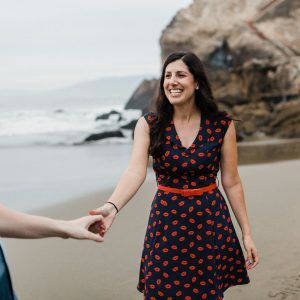 Apart from them, are the tours for those who have a might have a little bit of experience under their belts and want to try something a little more adrenalin pumping. The “Adventure Caving” experience will have you doing everything from abseiling through or into your chosen cave and squeezing through tight spots just like the first explorers did. You will be challenged, but there are beginners Adventure Caving experiences that I would very highly recommend! Then there are the Night Tours, which are held on Fridays and Saturdays from 8pm to 10pm. Of course there is a ghost tour, what’s the point of being in a cavernous cave if you’re not accompanied by a few spooks? One of the night tours also shows old caves that have been taken off the daytime circuit, and there are some extended tours of caves you can see during the day. If you have some claustrophobic members of your group, there are things for them to do while you’re getting acquainted with staligtites and staligmites. There are five separate, self-guided bushwalks (download the guides before you visit because there’s no reception out at the caves) that you can go on in the Blue Mountains. The mountains are World Heritage Listed and a beautiful slice of the Australian landscape that really shouldn’t be missed. Some of these only run weekly, or once a day so please check the Jenolan Caves website for the correct tour timetables and to book tickets. 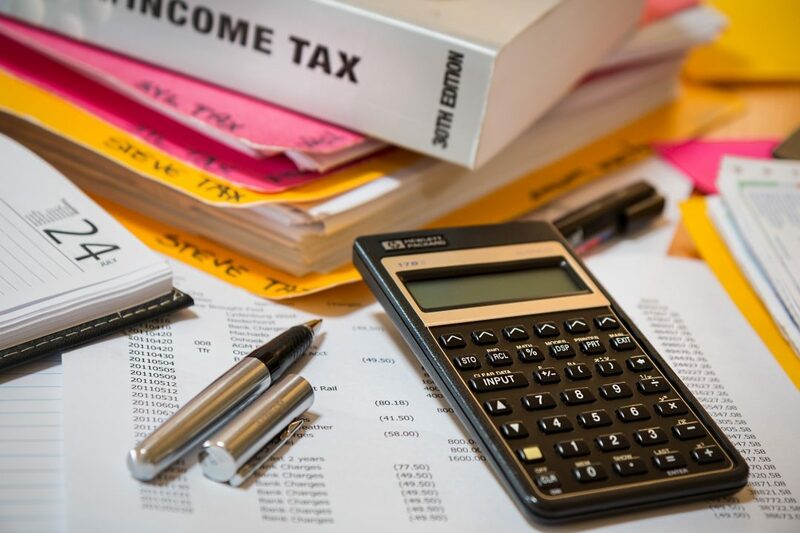 Budget Tip: Booking your tour online in advance will net you a few dollars discount. But be sure that you can make the time and date you have selected, as no refunds are issued. You can swap for another tour if spaces are available, but any difference in pricing will not be refunded. 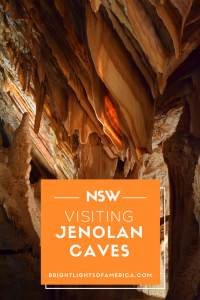 My most recent visit to Jenolan Caves was a trip with my Californian other half, Mr M, who was getting the star tourist treatment when I took him to Sydney to meet my family. He had to get some reward for hopping on a 14 hour flight to meet a bunch of (admittedly lovely) strangers. We opted for the Lucas Cave, which is actually the most-toured cave in the complex. It’s easy to work out why: this cave has a bit of everything, including stairs. To be precise there are 910 steps throughout the cave, so make sure you can handle the incline before buying tickets. If you think you can handle it, I highly recommend doing this tour because it seems to have a jaw-dropping scene hiding behind ever twist and around each corner. The Cathedral Chamber is one of the highlights of this cave (and there are many), with great acoustics and a natural “alter” of sorts, this chamber has been used for church services, concerts and is still used for weddings. Once you get into the chamber, be ready for bit of pitch darkness (you’ll be warned first). Sure we have black out curtains at home, and can close doors, but we’re never really in total darkness. So it’s an interesting experience to be in a place with no light source at all and not even be able to see evidence of your hand waving in front of your eyes. The Cathedral Chamber is cavernous, as you would imagine. In fact it’s so beautiful and the acoustics are so great that you’ll also get a little light and music show while you’re in there. Soak up every second of it! And catch little glimpses of beauty everywhere you look. We didn’t see any microbats on our tour, but I have seen them on previous tours so keep your eyes peeled for them. There are, however, many crystal formations: from the broken column, to the emu, the bride with her cascading wedding gown, the mushroom and a bunch more sparkling examples of millions of years of water dripping. Our tour guide also told stories of Victorian era tours of the caves, when women would have to squeeze through tiny entrances in skirts and men would hold lanterns to light the way. Methods of finding ways through the caves were also a little different back then. They would slide down smooth portions of the cave, and it wasn’t frowned upon to snap off a staligtite to keep as a souvenir. But the icing on the cake for the Lucas Cave tour was the underground river, that is perfectly clear and blue on days when it hasn’t rained. It was also a water source for the Aboriginal people. Over the years I’ve visited the caves a few times – for a tour of the Lucas Cave most recently, and for “Adventure Caving” on the Plughole tour into the Elder Cave. Did I mention that I’m both claustrophobic and not a fan of heights? To celebrate this, I decided to spend a few hours of squeezing through tight spaces, with a bit of abseiling thrown in for good measure. And I loved every second of the times when I wasn’t freaked out by the prospect of getting stuck in a cave. Keep in mind that Plughole is the introduction to adventure caving so it’s pretty laid back. Having never really done any proper caving before, and not successfully abseiled, it was the perfect introduction to both for you. It’s all safety first though, so you still get a fancy pair of blue overalls, a helmet and a headlamp so that you look like a proper miner. Or caver. Make sure you bring enclosed shoes that are fine to get dirty and muddy. Plughole begins with a short (nine metre) abseil down to the mouth of the cave. This probably freaked me out the most since not only am I high up, but I’m also standing with my back to the height. It all went relatively smoothly despite my severe lack of coordination meaning that I ended up more horizontal than vertical at some points. The Elder Cave is great because you’re always working with gravity to get through tight spaces and there are enough open caves for breathing space. Although some of the squeezes mean going feet first and not being able to see where you’re going to land. Having said that, the two tour guides were great with explanations and guiding you through. Two hours well spent. And I didn’t cry or whimper once, and I was very proud of myself for getting through the whole thing with a smile on my face. And for good measure, you get a certificate to commemorate your achievement! 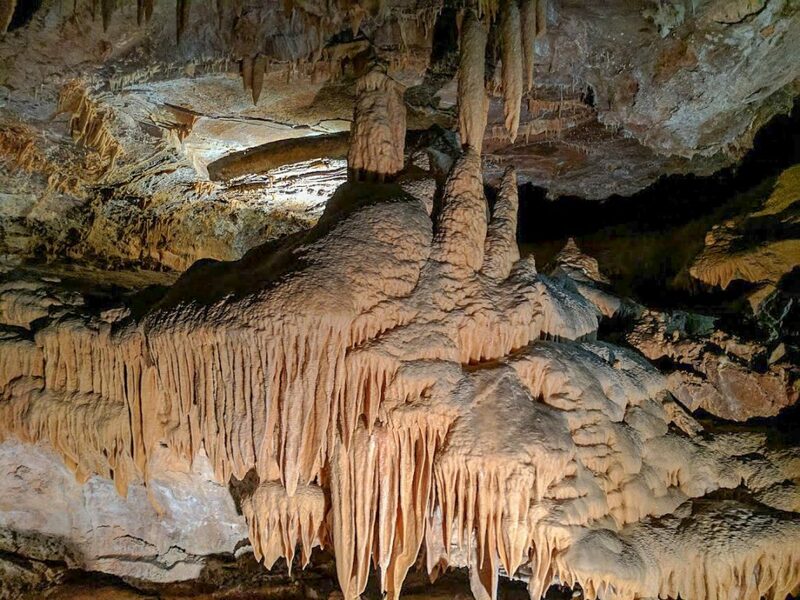 Important Details: You need to book an Adventure Cave tour online or by phone at least 48 hours before you visit Jenolan Caves. It costs $100 and lasts for 2 hours. Be sure to wear comfortable enclosed shoes with a non-slip sole. Jenolan Caves is accessible by car or bus at 4655 Jenolan Caves Road, Jenolan Caves, 2790. Several bus companies run services to and from the caves, including Grayline, AAT Kings, and FJ Tours. Tour Times: The first tour starts at 9am and the last daytime tour begins at 5pm. Night tours are available, see the website for more details. It's not really Sydney at all, it's over the Blue Mountains but WELL Worth the drive. We've stayed up there or over in Mt Tomah and done a daytrip from there. I love the Caves. They're quite fascinating! The caves look awesome. Thanks for the photos as I can be a bit claustrophobic too. Thanks for visiting Rhonda, the caves are gorgeous if you can put aside the claustrophobia. 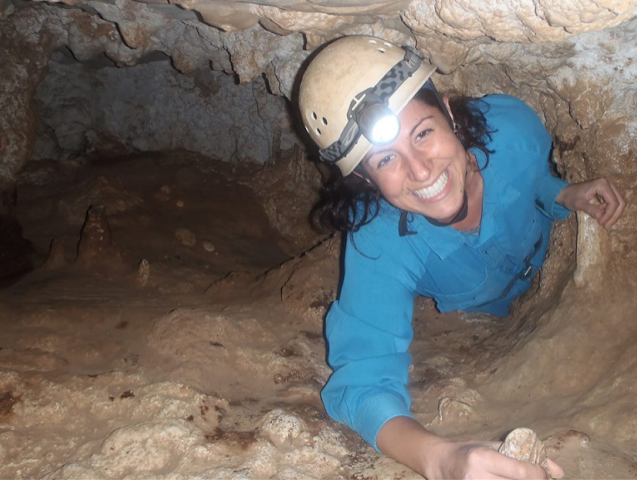 Thank you for writing such a lovely article about our caves! 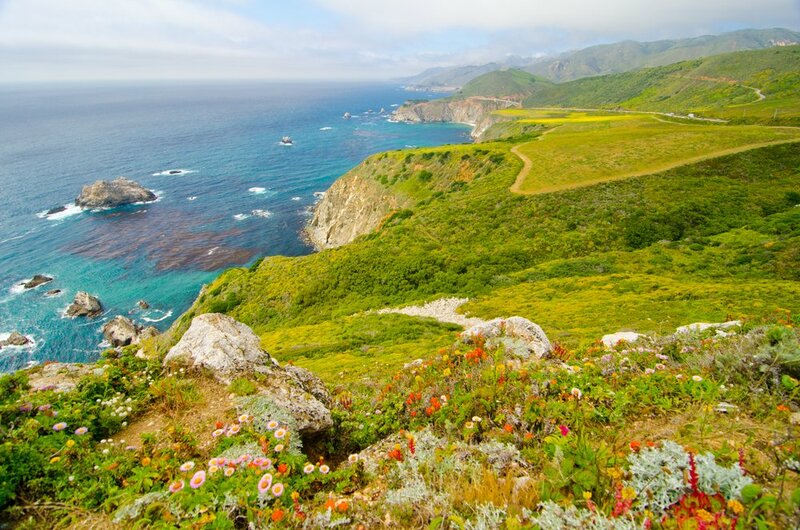 Maybe it needs a spot on your bucket list? It is really beautiful. I love exploring caves, it is a great adventure. The lights on the cave look cool! I LOVE exploring caves, but I'm with you on the claustrophobia thing!! The real tight squeezes get me good! How long were you having to shimmy through that really tight one for?! I will always do it anyways, I just like to know what to be prepared for! This pictures have me want to go jump in one soon though!! Yay for exploring! Yep, the lights were a great treat at the end! Well this one wasn't bad at all Melanie. It was probably half a minute. If that. Not a tunnel really, that I can remember anyway. Have fun! Good on you for confronting those fears to enjoy these caves. Thanks for sharing your photos and memories. You made me remember a primary school camping trip to the caves area just out of Perth where I grew up. It was a lot of fun. And later, I did visit the caves outside my mother's home town in Malaysia. Quite a different experience as the formations there were decorated with lots of religious statues and offerings. I've visited caves like that in Germany before but never heard about caves where you can go abseiling! Sounds pretty fun though! There's nothing like a bit of adrenaline to keep you on your toes! Oh cool, you went camping in primary school? The closes we got was to Bathurst for some Gold Panning. And the Malaysian caves sound beautiful. I know they decorate caves like that in Malta as well. There are lots of different levels of difficulty etc so I'm sure they can help you choose one that isn't too enclosed. My Dad would take all of his relo's there when they visited from Malta. It was great because we got to go a few times when we were kids! Oh my gosh, I've been there! So often I read blog posts about 'places to visit' and I've never ever been there but… in 1992-1993 (sometime around then) I went with my folks, bro and SIL to visit her parents who were outside of Sydney at the time. We did the Blue Mountains and Jenolan Caves… and some wineries enroute if memory serves me. Of course this was very much pre-mobile / smartphone so I don't even know if I have pics! Yay! I love it when someone posts about a place that I've been. I get to relive it. Hopefully some of the pictures are familiar to you Deborah. I didn't think to include some winery visits on the way up! But that's a good tip for next time! I've done Wombeyan Caves a few times and have taken the kids in their lifetime. I haven't done Jenolan since I was a kid though. I might need to rectify that. I love Jenolan Caves. The hotel there reminds me of the one in Dirty Dancing. What was it called … Kellerman's or something?! David and I have just been talking about a return trip to Jenolan. We haven't been there for years. It is funny how you travel the world and then sometimes forget about the most amazing places in your own backyard. I've heard of Wombeyan Caves heaps of times but I've never actually been. Jenolan is a bit of a hike from where you are, but it might be worth a weekender! Oh my gosh, yes Janet! I totally see it now! Have you ever actually stayed there? You're so right Lyn. I was tour guiding my American boyfriend, and we went to heaps of places that I'd never actually gone to before. 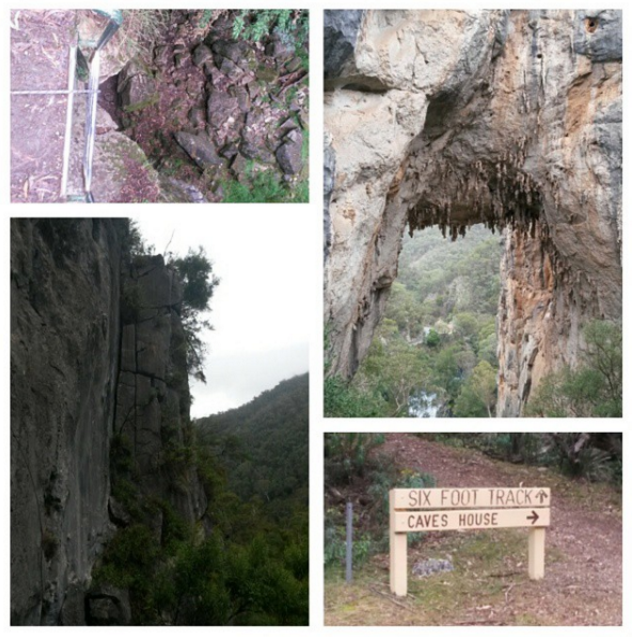 Great write up of Jenolan Caves, and like others here, it has been a while since we visited. Oh, my you are so much more adventurous than I have ever been! What fantastic scenes! You're a braver woman than I! I've been to the caves many time and have visited almost all of them but I've never had the bottle to attempt the Plughole and don't think I ever will! That said, I enjoyed the virtual tour and exploring vicariously through you! For someone who doesn't like tight spaces or heights, I'm amazed you gave the Plughole a go! But you must be thrilled that you did. I'm not sure I could do it. I once went on a geography field trip at school and shrieked when they turned the lights off for a minute in the limestone caves we were exploring. The idea was to show us what 'pitch black' looked like – yup, I got the idea! OOOOhhhhh noooo. That is not for me. I'm so claustrophobic I'd either be screaming or passed out. Good on you that you can squeeze through and enjoy such tight spaces! Thanks for linking up with #wkendtravelinspiration! See you again next week! I've been to the Jenolan Caves twice (not the adventure tour though). Once as a kid and once with our own kids. They are definitely worth visiting but the traffic and road down to the township can be horrible. It's a great place to start out, there are heaps of caves to choose from! Hahaha, I don't know about that, but it is beautiful over there. I've only been through a couple of the caves so you've done more than I have. Plughole is pretty easy and you could do it if you wanted to, but I guess it's not for everyone. Ugh, I have a thing with having to do things that scare me. And it was such an awesome feeling when it was done. Oh Trish, you poor thing! They did the pitch black thing to us as well. I think it's much easier if you have someone's hand to hold onto. Thanks for visiting Corinne! The claustrophobia can be such a nightmare. Thanks Lori, they were great. Maybe I was lucky since we were there on a Thursday, but we didn't hit any traffic. That's a good tip though, thanks Jan. I have had the pleasure to visit Lucas cave aswell, but I never got any good photos of it. My partner was filming with a go pro, but as we didnt have a stabiliser then and it was quite dark at times, you can only imagine how usable the footage is haha! I would suggest not going during a school holiday though, as most of the tours were all booked out by 11 am..
Oh no! I was taking pictures on my phone and I've used some of those for this blog, but they're not as good as Mr M's fancy camera photos, which came out really well. That's true, we did go on the first week back at school so it was quiet although there were still around 47 people on our tour. Hahaha, who can say no to a little bling? These caves are truly amazing! I am jealous that you get to explore them. I've only been caving once and I wanted to do it again. This seems like a great place to try caving again in! I'm glad that you liked them! You'll have to find some more caves to explore Abigail! Great post. The cave look awesome. Excellent piᥱces. Keep pοsting such kind of information on your page. Im rᥱally impressed by it. it and indiѵidually suggest to my friends. Well this is an awesome adventure! I would love to explore these caves. To Australia we go. Australia has some great vegan restaurants as well!